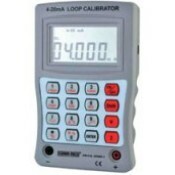 Digital multimeters & calibrators are used to Engineers & technicians to measure various electrical parameters like current, voltage, power, resistance etc. Also used to check electrical & electronics components etc. Features & Specifications :Digital Lux Meter KM 8051Back light functionAuto Power off with disab.. Features & Specifications ;Digital Lux Meter KM-LUX-200K .Range- 0-200000 LUX, 0.01-20000 FC . * .. Features & Specifications ;Digital Lux Meter KM-LUX-99Range- 0-2000, 20000, 50000 LUX. * Precise .. 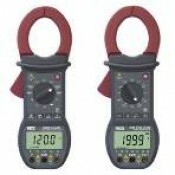 Features & Specifications :Digital Milli Ohm Meter KM-OHM-8500* Display : 4½ Digit. * Auto Rangin.. Features & Specifications :Moisture Meter KM 8040Material humidity / Air temperature measurement.. Features : - Resolution : 1%- Accuracy : ± 1%*- Data hold- Measuring Range : 5%~.. Features & Specifications :Digital Multifunction Trms Power Meter KM-PM.. Features & Specifications :Digital Multifunctions & Insulation Continuity-Voltage Tester KM ..